SSgt. 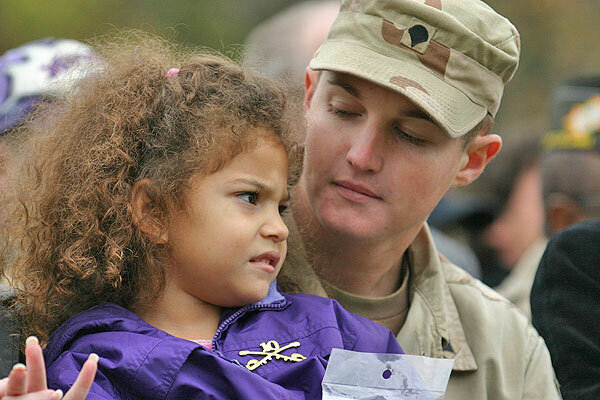 Mark Summers, and his daughter Lyndsay, participate in Veterans Day ceremonies at the Vietnam Wall in Washington, D.C.
November 11, 2003 - SSgt. Mark Summers, and his daughter Lyndsay, participate in Veterans Day ceremonies at the Vietnam Wall in Washington, D.C. SSgt. Summers was wounded in the right leg in the current conflict in Iraq.